In addition, before you sell or transfer an automotive vehicle, it must first pass the criteria set down by the Maryland car inspections. At Rockville Auto & Truck Service, we provide fast and affordable state inspections in Rockville, MD, and the surrounding areas. 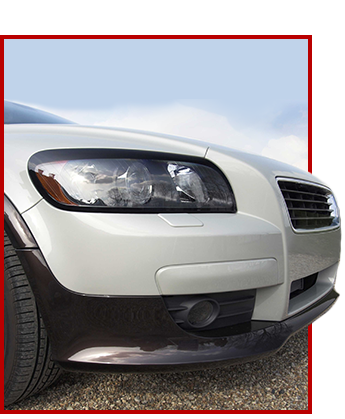 We perform a full inspection that includes auto emissions testing. If your vehicle does not pass the inspection, we can make the necessary repairs and modifications to ensure that it will pass the next time we perform the test. Before you can obtain paperwork showing your vehicle is certified in the state of Maryland, you first need to bring it in to our auto repair shop to undergo the necessary tests. We are certified to perform every aspect of the state inspection, from emission testing to checking the window tint. We take these inspections very seriously because we know they are done for your safety as well as the safety of other drivers on the road. One of the biggest factors that determine whether or not you pass the state inspection involves exhaust emissions. If your vehicle is currently unable to pass the emissions part of the state inspection, you can depend on us to provide the necessary repairs to fix the issue. We first inspect every aspect your vehicle's emissions system to see if each component is properly connected and in good condition. We can repair or replace any part of your emissions system, including muffler, catalytic converter, and the exhaust pipe. After we finish fixing the exhaust, we will re-test your vehicle to ensure it meets the standards for the state of Maryland. Contact us with any questions about Maryland car inspections. We are conveniently located to serve customers in Rockville, Damascus, Gaithersburg, Germantown, and North Potomac, MD.